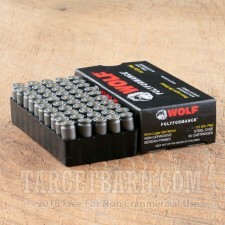 Pick up a few of these 50 round boxes of Wolf ammunition to train for less! 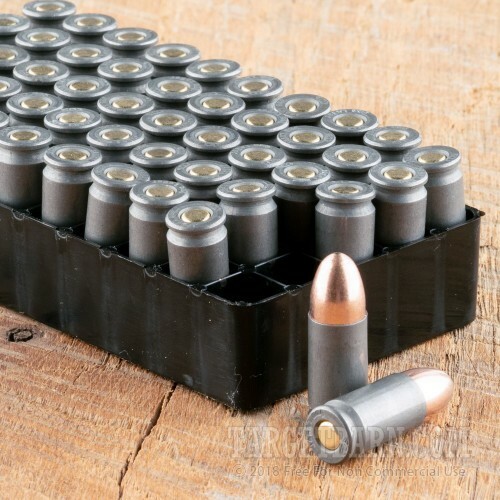 These 9mm Luger cartridges deliver great accuracy at typical pistol shooting distances and cycle reliably in pistols thanks to their polymer-coated cases. Each round in this box fires a 115 grain full metal jacket bullet at 1,150 feet per second. This is a relatively light-shooting target load ideal for 9mm Parabellum pistols of all sizes. 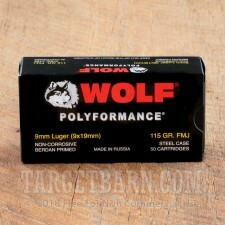 This ammo is loaded in Russia using non-corrosive Berdan primers and steel cases. 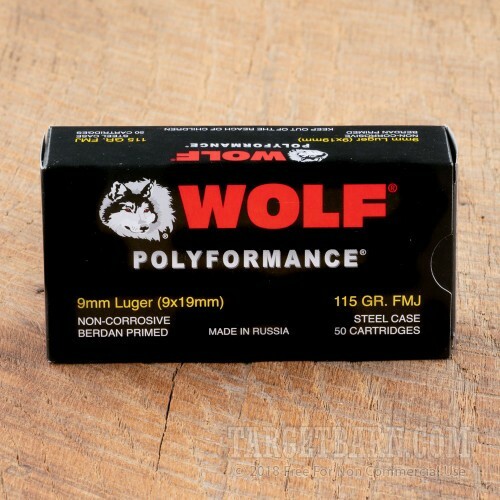 While they deliver reliable performance thanks to the aforementioned polymer coatings, the cases are not reloadable.